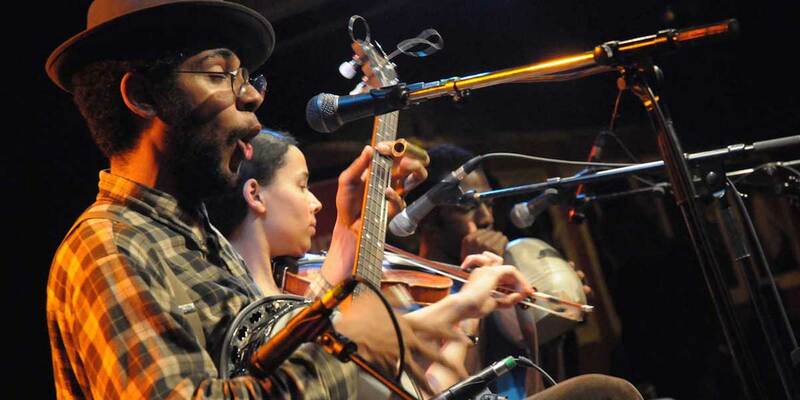 A documentary portrait of the Carolina Chocolate Drops, a string band from Raleigh, North Carolina, and their mentor, fiddler Joe Thompson (1919-2012). Don’t Get Trouble in Your Mind captures how three African-American musicians from the hip-hop generation embraced a 19th-century genre and took it to new heights, winning a Grammy in 2010. The story of the band’s meteoric rise, from busking on the street to playing major festivals, is punctuated and informed by the history of the banjo’s origins in Africa, and the untold story of how blacks and whites collaborated to create the earliest forms of American popular music.